To make your booking and training experience smooth and more enjoyable we've created a FREE mobile phone app for you to download. 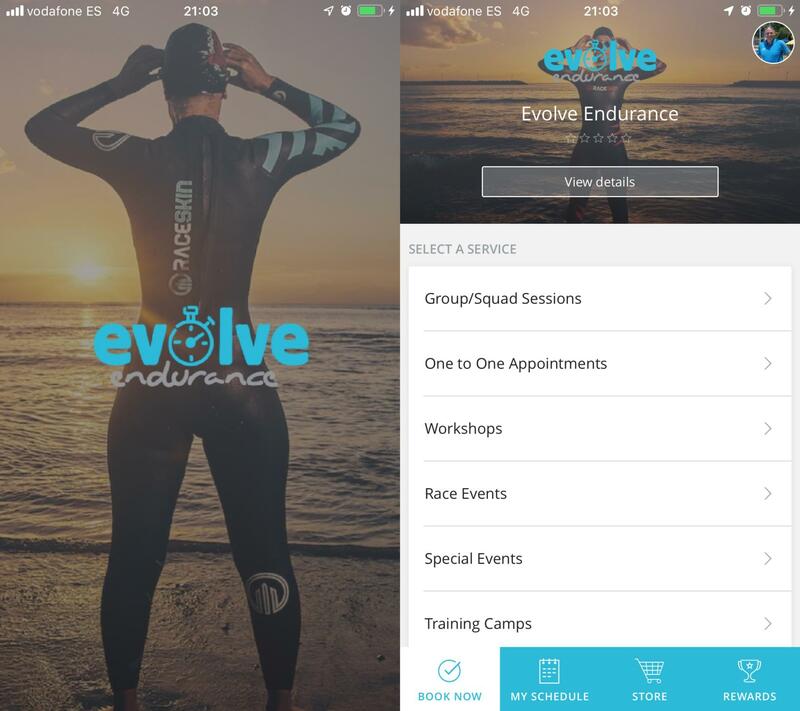 with our Evolve Endurance booking app you can seamlessly schedule your open water sessions, appointments and workshops direct from your phone. If you suddenly can't make a session you've scheduled you can simply unschedule yourself freeing up your place for someone on our waiting list and you keep your credit for your next visit. As well as reserving your place (On occasions we have to limit numbers of attendees) at our open water swim sessions you can actually jump the queue having prepaid in advance! Our booking app is fully PCI compliant so you can rest assured that your purchases via the app are secure. You will also get the latest information on new events and earn points to redeem against cool prizes!